Hit the Ground Running: A Thought on Race Goals and Chattajack! Thanks for the supportive comments on my last post. It's hard enough to completely miss your goals when no one knows them. It's way harder when you have to break the news to people you respect and who were cheering for you! Hanna's comment in particular got me thinking. She brought up that maybe the pressure of this race impacted how it went. My last two 5k PRs were both unexpected and I hadn't advertised much confidence in myself beforehand. In fact, I kept my pie-in-the-sky goal private for Sup & Run and I didn't have major goals for Howl. But I built up Sanibel. Hanna's comment made me reflect on A1A this year. I ran that full without telling anyone but a few select people. I wanted to remove the pressure of race day by just treating the race like a solid long run and it really worked - I redeemed myself and nabbed my hard-earned PR! Still the best feeling ever! Of course, a marathon is different. There's a little less pressure in the sense that finishing at all is a huge accomplishment, and I wasn't ever planning to gut out super-fast miles, either. 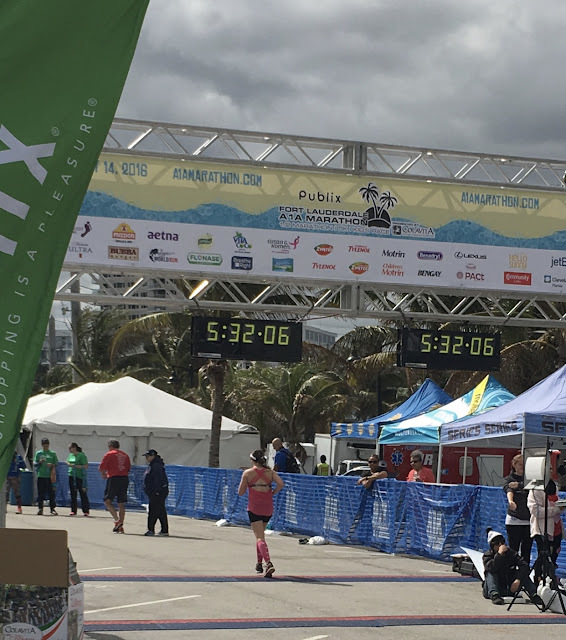 But I should probably apply what I learned about that race - which is that if I just let myself have some quiet determination and don't make race day a big deal on the blog (the lead-up, the goals, etc.) then I'm able to have a more successful race - to all my races. I'm able to just race it without any outside noise creeping in. That's not to say that support isn't appreciated! But I wonder if my mind buckles under the pressure. I also think that I have such a history with Sanibel now, having run it five times, that I need to pick a different 10k when I'm ready to try for a PR again. Even though I love the course and the atmosphere, there's just too much baggage to run it with confidence and freedom. I feel way better after taking Sunday and Monday off and enjoying a nice run Tuesday. I gave Elizabeth my full attention as I listened to her race experience. It's clear she enjoyed it and she's excited to run a half; her competitive nature came out and she had fun picking people off as she ran. But she still doesn't "get" why people spend money on races (totally understandable) and she didn't feel totally "life changed!" by finishing because, in her words, it was "only 6 miles". She's become a jaded racer and she's only run one race! I love this pre-race picture of us! We always take post-run photos so this is the first time you get to see us looking cute and excited beforehand! In other news, Chattajack is this weekend! Remember last year when Matt paddled ~32 miles in Chattanooga? Well, it's time for him to repeat his performance! He's switched up his board class this year and has trained using a totally different method and plan than last time; he's really gunning to make it to the podium. That's Matt leading the pack, obviously. So, needless to say really, I won't be around the blog much this week because we'll be traveling. But when I get back I'll make sure to post a recap of his race, like last year! (Hopefully this year's recap doesn't include a busted board or any other obstacles on our way up to Tennessee!) In the meantime, you can follow me on Instagram to see how things are going and follow Matt on race day. Do you think vocalizing your goals helps, hinders, or doesn't impact your performance? Do you have any baggage surrounding certain races? Wish Matt good luck this weekend! I really like your outlook on this Ali! People race for all different reasons and although I want to do my best (whatever that might be for me at the given time),my time does not define me or my race. My sister and I rarely put out there what are goals are for a race because really it's a personal thing and quite honestly can even change on race day. Do our best is always the main goal. Regardless of what your goal is/was, as blogger friends we will always show support and encouragement even if you don't announce your time goal. Its our job as bloggers, that's what we do! We are in this together to show encouragement. I'm glad you are feeling better. While it's great to have and share time goals, putting them out there can really mess with your head. I know quite a few bloggers who actually refuse to publicly share their time goals, for various reasons. It's important as athletes that we pay attention to and learn from how we deal with that kind of pressure since it can have such a huge affect on performance (and how we feel about our performance). Some people thrive on it, others collapse under it. You see it in elites, too: some runners, like Shalane Flanagan, love to shout their bold goals to the mountain tops while others, like Desi Linden, prefer to stay under the radar and work quietly. When I run the Chicago Marathon next year, I'm not going to make it about time goals this time. I want to just enjoy the experience and run my own race, whether that ends up being a PR or a 30 minute personal worst. We really are our own worst enemies sometimes, and I know I'll run better (and have more fun!) if I tell my brain to shut the hell up and just go out and do what I came there to do: RUN!!! It is interesting that maybe putting everything out there messes with your mind! I remember how you didn't tell anyone about A1A and then you crushed it. Well, now you will have to sign up and run a race secretly and let us know how it goes! I have no idea if declaring my goals helps or hurts me. It DOES sting when I don't reach them, and then I have to report back on my blog that I didn't. But it happens to everyone, and if I just acted like it was all sunshine and roses I wouldn't come off as real. I'm glad you're feeling better about things. I think you're right - it may have been too much pressure. I think that's what happened at my last half marathon when I kept obsessing about the possibility to PR...I tend to be a head case! I think it'll be great to try some different 10K's and mix things up for a bit. Funny how Elizabeth is already jaded after the race, lol! Hope you guys have a fun time in Chattanooga! I can so identify with this post. I have repeated the same half course in hopes having a PR and then miss it by 20 minutes. Imagine how disappointed I was. Now I always state that the race is for fun and I am have NO PR hopes. And by accident I seem to get a PR. Go figure! It never seems to happen if I try or if I state it as a goal. Best wishes to Matt for happy paddling this weekend! 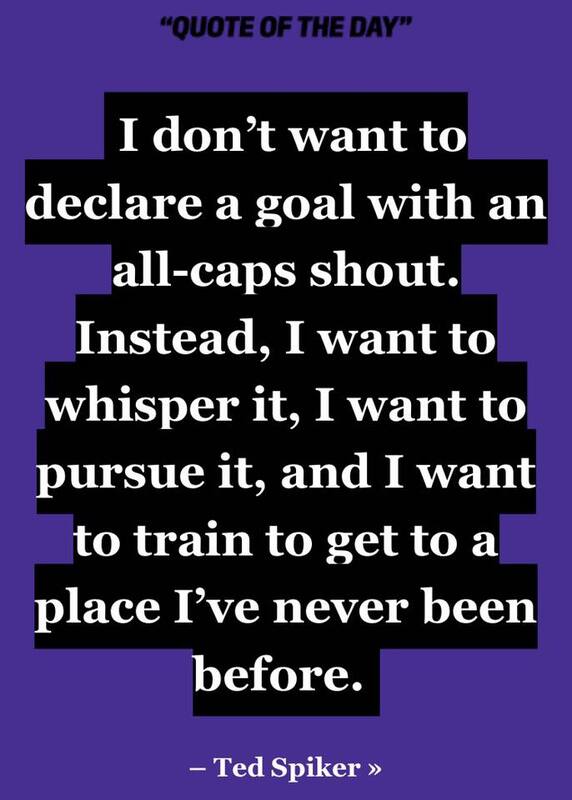 I usually do put my goals pre-race, but I always have a "secret" goal lol in case i have a crazy good run. I do think it is good sometimes to just go run your race and report back later!I kind of did that with my half last weekend - I was having so much pain all week I didn't want to talk about it...and luckily, by race day it had calmed down. I have thought the same thing! That's why I wasn't comfortable sharing my marathon time goal. I do feel a difference, but not in the way I'd have thought. I actually want this time goal perhaps more than any other after my sub-30 5k, and I intend to fight for it. However, instead of feeling pressure, I feel genuine excitement and curiosity about whether I'll be able to do it. That's much different than feeling like a race is a test that I'll fail at if I don't hit my time goal, like I usually do. I'm sorry your 5K didn't go the way you wanted. I hate it when I just can't get myself running the paces I thought I could. I definitely was putting way too much pressure on myself for Chicago, and I found that I actually didn't even want to run it. Good luck to Matt on his paddling race this weekend! Interesting thought. For me it's very helpful to strive for specific speed and time goals *in training*. But I agree that focusing on specific speed/time goals for a race can be a psych out. There's also the factor of unpredictable conditions and circumstances on race day that can move the goal out of reach. Instead of a race time goal, I try to have a race plan with the only goal being to push my limits and race well. PS- Congrats to Matt for making his Chattajack podium goal. Huge achievement.